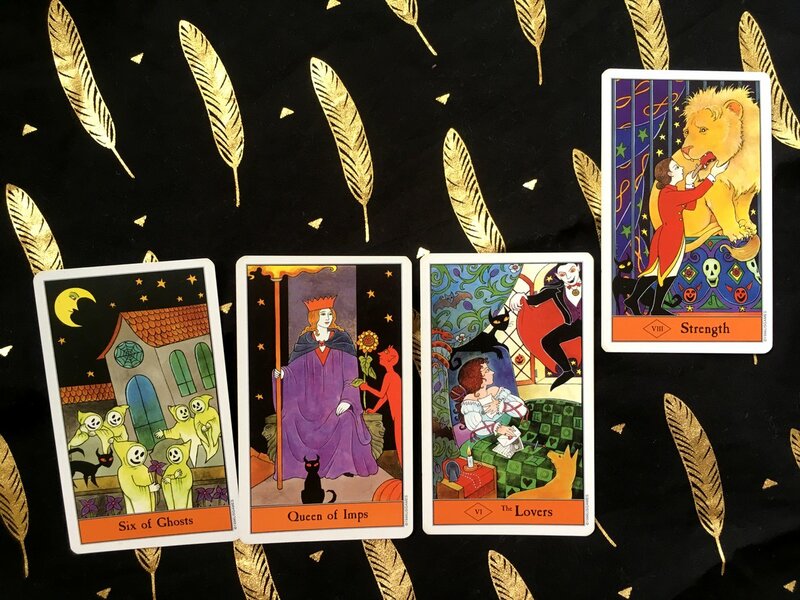 I really love the Halloween Tarot deck by Kipling West. I got mine as a birthday gift from a friend. It was the only “complete” deck I had for a while. 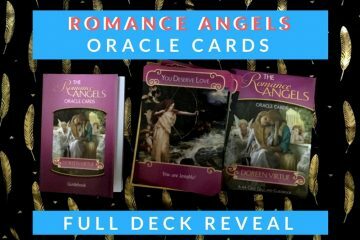 I used it for many client readings until I had the money to splurged on the other decks. My deck came in a tin. I like the size of tarot cards in a tin as they shuffle easily. But because of their size, they don’t photograph well. 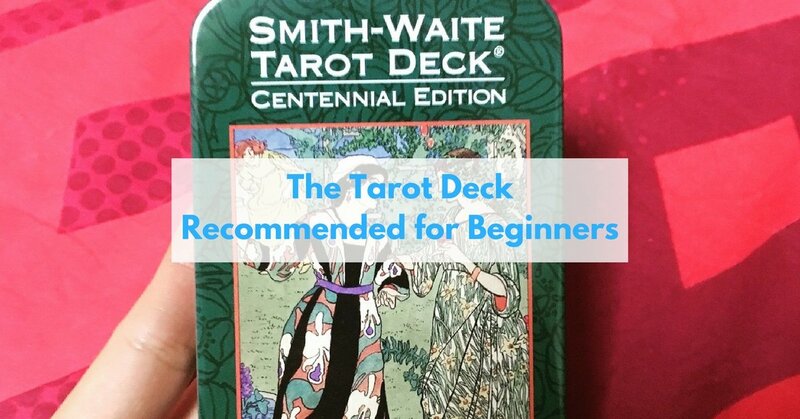 I like the deck for its cartoonish portrayal of the characters and objects from the Rider-Waite-based Tarot deck. Most of the cards are the same, except they changed the minor arcana to be Halloween-themed. What I like about this deck is that the cartoons make everything look less threatening. Though people have told me that having ghosts in the cards is pretty scary. A Past, Present, Future reading where the Strength was the extra card that slid out of the deck. When I’m shuffling with this particular deck, a card very often pop out. (Strength, in the case of the reading above.) And it describes the situation very well. 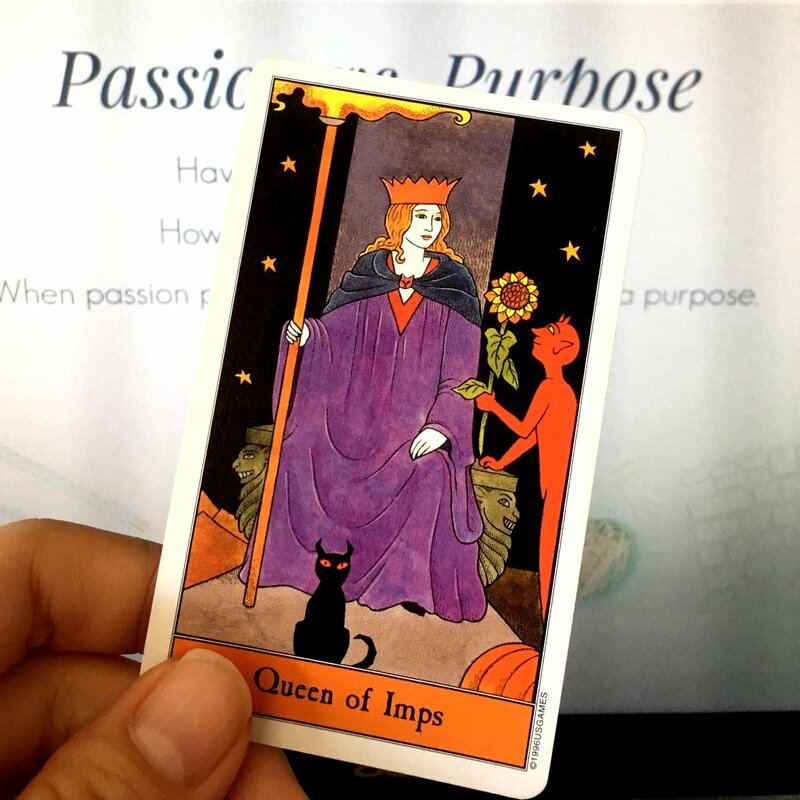 The Queen of Wands/Imps. which I pick as a representation of myself. So I love this card very much. 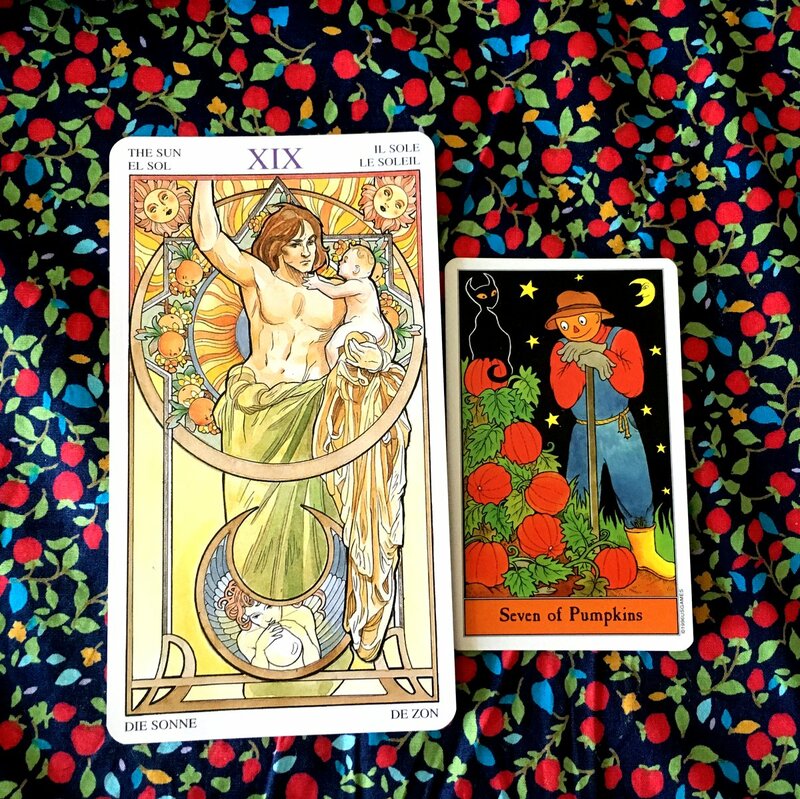 I do recommend the Halloween Tarot deck as a secondary deck. 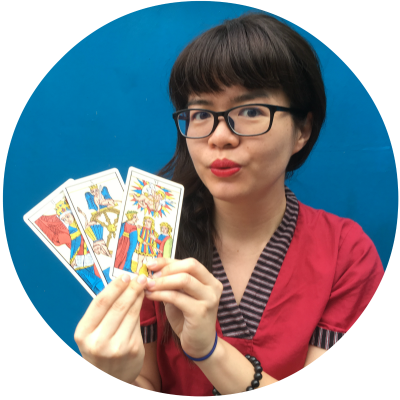 The cheerful depictions make the tarot less scary for clients. 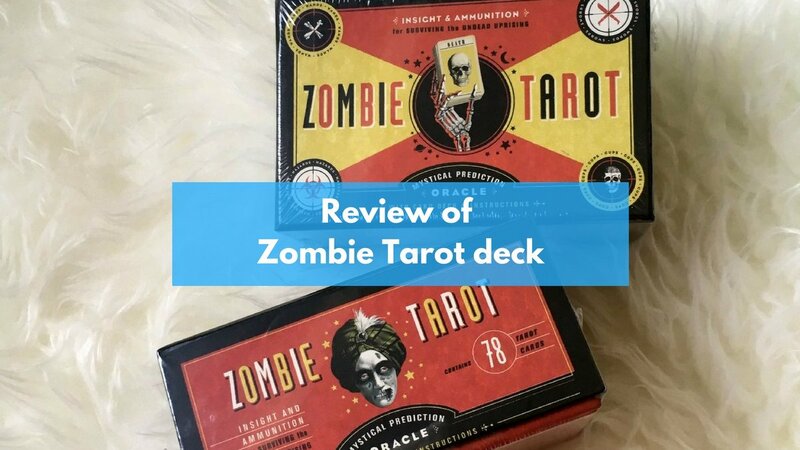 Review of the vintage Zombie Tarot. What I like and don't like.